Due in part to a fire at Ingpen & Williams in which her professional biographical information was lost, we lack a full record of Margaret Kitchin's performances, particularly from the 1940s and 50s and those outside Britain. We would be delighted to hear from anyone who can help fill the gaps. Works for which performances were identified from one or more sources. Works for which no performance has been identified. The majority appear on a repertoire of 20th century concerto and solo piano works with corrections and additions by Margaret that was found in her desk. From the works listed and omitted, it can be dated 1956. 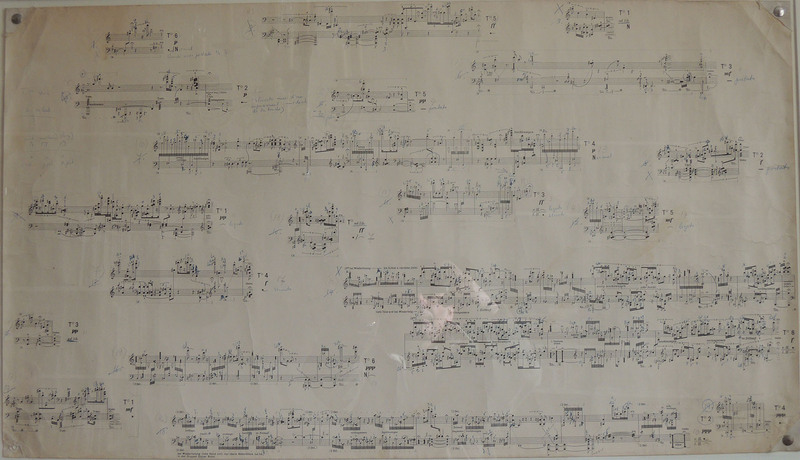 An earlier list of solo piano repertoire is handwritten on a blank page in the Roussel suite whose cover is dated 1951; it comprises works composed up to 1950. Most contemporary works on this list also appear in the 1956 repertoire. Other British and Swiss works appear in a CV sent to the BBC in April 1947. We also have a list of concertos sent by Ingpen & Williams to the BBC in 1967. Some other works that Margaret had probably performed are mentioned in letters to the BBC. We have included a few other works where Margaret's score bears a dedication or fingerings etc., but not scores that lack any markings. Some scores were sent by composers in the hope of securing a performance. Commercial recordings and taped radio broadcasts, the majority held in the British Library Sound Archive. These are included in the list of performances above.